Nicole Eggert, 42, former star of the television show “Baywatch” files bankruptcy with this filing being her third attempt in one year. Eggert filed a Chapter 13 bankruptcy petition to restructure financial obligations and catch up on mortgage payments to prevent foreclosure of her home. She filed bankruptcy twice in the last year with both cases being dismissed. 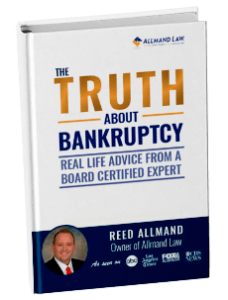 Filing Chapter 13 bankruptcy allows debtors to retain assets while making payments based on their income ability. Many debtors consider this option when they want to avoid or stop foreclosure of their home. With Eggert’s case, she is looking to make mortgage payments on her home to prevent it from being foreclosed. She owes roughly $60,000 on her mortgage. Her plan will allow her to pay just over a $1,000 a month to the mortgage holder with other debt obligations totaling to $800 per month. After the first year, Eggert will pay just over $1,300 for roughly 2 years. At the time of her filing she had assets totaling about $1,000,000 which included her Valley Village home in California estimated at $870,000, furniture in the amount of $5,000, and a 2008 VW Passat and clothing valued at $5,000. Eggert claims she pays $2,000 per month in management fees and child care costs of $3,000 per month. Her liabilities were roughly $800,000 but while earning just over $15,000 per month she claims to have close to $800 left to live on each month.